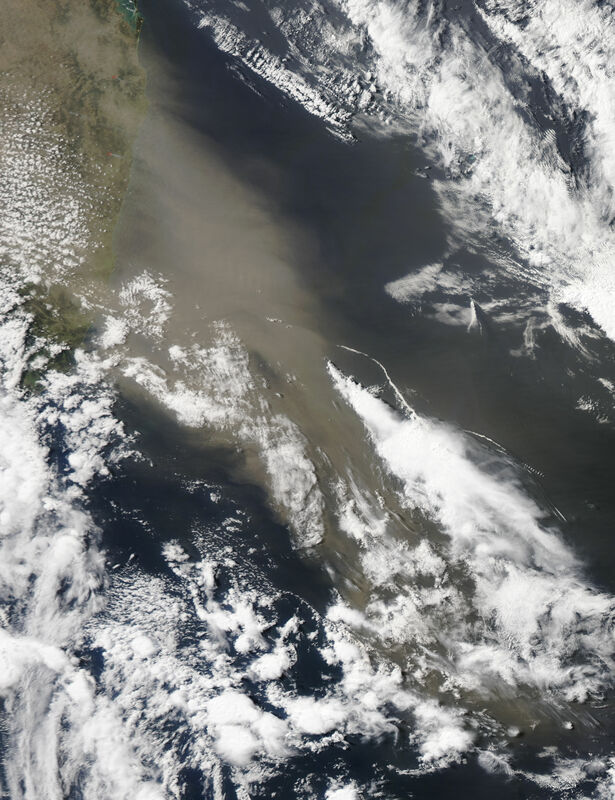 The dust storm that started the previous day had intensified by the time the Moderate Resolution Imaging Spectroradiometer (MODIS) on NASA’s Aqua satellite flew over on October 14, 2009. What had been a semi-translucent cloud of dust became a broad front of thick airborne dust. This dense cloud of dust straddles the New South Wales and Queensland border. The bulk of the dust hangs over the South Pacific Ocean, leaving the air over land relatively clear. The large image, which encompasses a wider area, shows that the dust plume stretches tens of kilometers south of the area shown here. The large image provided above is at MODIS’ maximum resolution of 250 meters per pixel. The MODIS Rapid Response System provides the image in additional resolutions. NASA Earth Observatory images courtesy Jeff Schmaltz, MODIS Rapid Response Team at NASA GSFC. Caption by Holli Riebeek. A dense cloud of dust hangs over the South Pacific Ocean off Australia’s east coast in this true-color image from October 14, 2009. 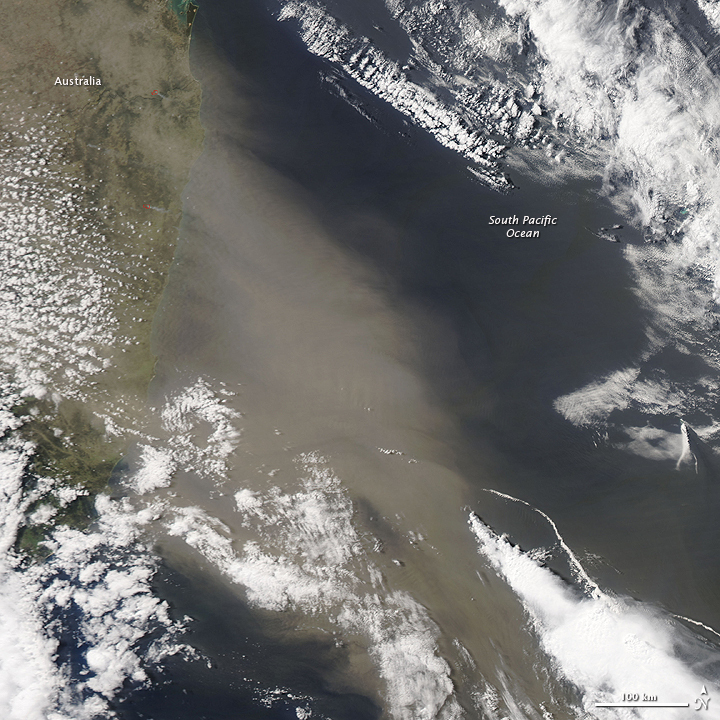 Dust from inland Australia blew east over the Australian coast and the South Pacific Ocean in mid-October 2009.